When Was the Last Time You Cleaned These Three Things? How long has it been since you last cleaned your washing machine? A month? Three months? A year? Longer? If you answered “more than a year”, or if you’ve never cleaned your washer, don’t worry; you’re not alone. There are some products that we tend to clean whenever we spruce up the house, and there are others that we just, well, don’t. Washing machines often fall into the latter category, as do appliances like vacuums and air conditioners. However, the truth is, each of these products plays a vital part in maintaining our comfort at home, and each must be kept clean to promote efficiency and good hygiene. It’s for precisely these reasons that Samsung’s premium appliances feature innovations designed to streamline their upkeep and cleaning, and help consumers maintain a healthy home. Though it may sound surprising to some, yes, even washing machines can get dirty. 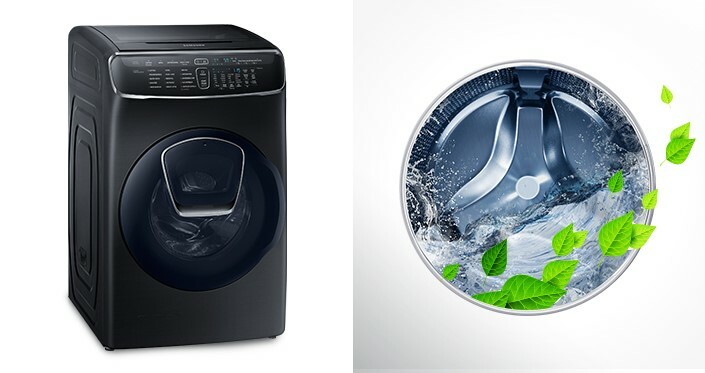 Thankfully, the eco-friendly ECO Drum Clean technology featured in Samsung’s washing machines, including its AddWash and FlexWash lines, eliminates offensive odors by eradicating 99 percent of contaminants from the washing machines themselves – without using detergents. Contaminants include waste from previous washes, as well as from food, residual detergent, dirt and tap water. If left unchecked, this waste can foster the growth of up to 14 different germs and 12 different molds in a typical washer. When developing the technology, researchers at Samsung’s Next Generation Element Lab found that dirt and contaminants tend to accumulate on the gaskets of drum-shaped washers. To address this issue, the team created a solution that cleverly sprays the gasket with water during the drum’s spin cycle. The result is a much more thorough and hygienic clean. To help users keep their device clean, the washers feature an alarm that will periodically remind them to initiate an ECO Drum Clean cycle. The technology has been certified by global testing and inspection organization Intertek, and received the Korean Environmental Industry and Technology Institute’s Green Technology Certification, having successfully passed the stringent evaluations. It has also earned an additional ‘Hygiene’ seal from researchers at Germany’s Rhine-Waal University of Applied Sciences. Vacuums, like washing machines, should be cleaned regularly. This will help ensure that their suction remains strong, and that they continue to remove dust and allergens from your home without releasing them back into the air. 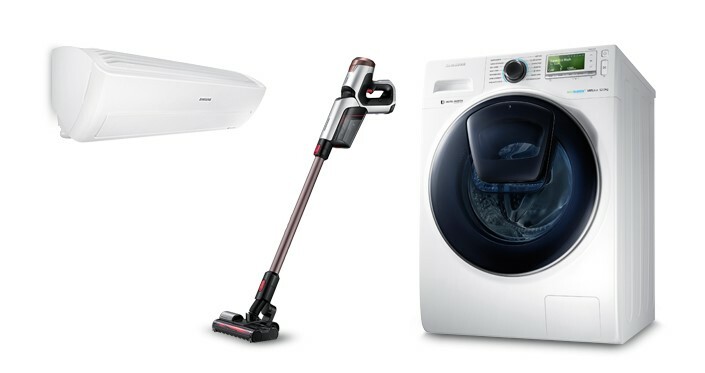 Samsung’s POWERstick Pro vacuum features a filter that washes clean with a quick rinse, as well as an advanced HEPA (high-efficiency particulate air) filtration system that ensures that 99.9 percent of micro dust collected during use stays in its canister. The former allows for easy upkeep, while the research indicates that the latter can help households improve their respiratory health. On top of that, the vacuum’s EZ Clean technology makes it – you guessed it – easy to quickly and hygienically remove dust, debris and even long, tangled hair from the device. 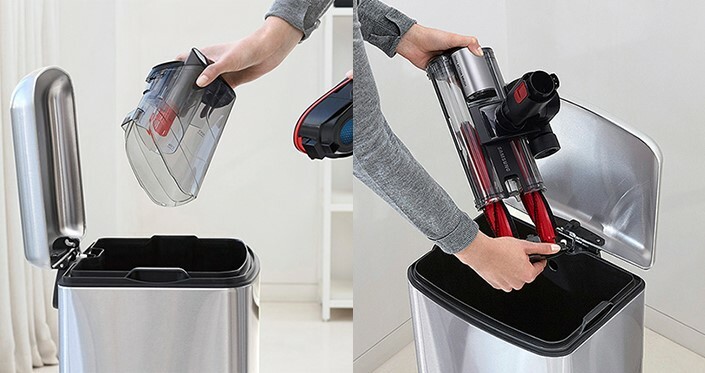 The EZ Clean Dustbin detaches with a simple pull of its lever, and removing the EZ Clean Brush from the drum is effortless. 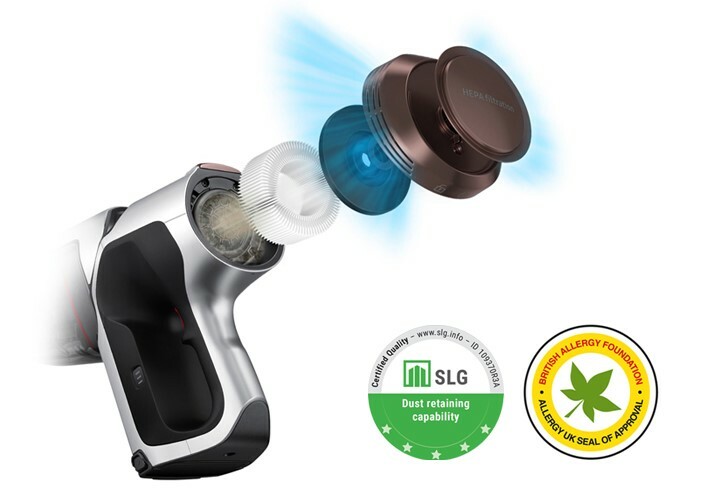 This premium level of performance has led the product-testing experts at Germany’s Schulert Gergericherheit (SLG) to give the POWERstick Pro a five-star, ‘Excellent’ rating for exhibiting the highest level of dust retention, and seen the British Allergy Foundation award the vacuum its seal of approval for eliminating allergens from users’ households. Speaking of allergens, air conditioners – and their filters – also require regular cleaning to help ensure that they function without issue, and that their output is free of potentially harmful contaminants. 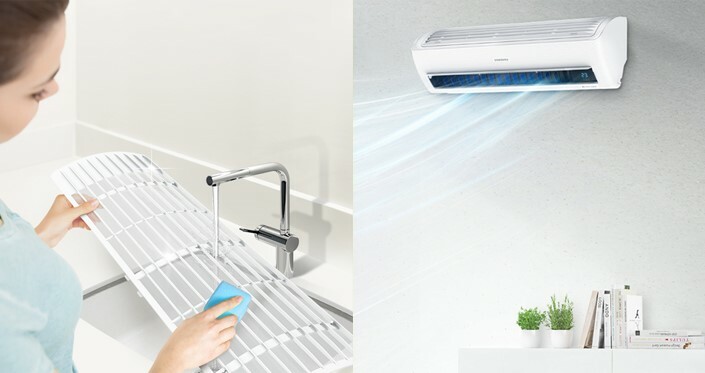 Along with featuring a raft of innovations designed to deliver powerful performance and outstanding energy efficiency, Samsung’s Wind-Free™ air conditioners feature an easily removable Easy Filter Plus filter that makes maintenance a breeze. Located at the top of the device and accessible without removing its cover, the filter washes clean easily and features an anti-bacterial coating that efficiently filters dust, airborne contaminants and allergens. Part of Samsung’s process of crafting hygienic appliance innovations involves regularly taking part in a wide range of health-focused studies and research efforts. These include a study conducted in conjunction with Stanford University (and led by Stanford Professor Kari Nadeau, one of the nation’s foremost experts in adult and pediatric allergies and asthma) to verify the positive effects that the company’s air purifiers have on households’ respiratory health. And, as Samsung’s Chef Collection refrigerators demonstrate, the company’s commitment to designing innovations that prioritize consumers’ health extends beyond simply hygiene. According to recent Harvard University-conducted research, the Precise Cooling Technology in Samsung’s Chef Collection fridges keeps foods fresher and helps them better retain vital nutrients. Efforts like these further our collective understanding of important health issues, and have helped Samsung craft exciting innovations that provide simple solutions. A healthy home is a happy home. By promoting excellent hygiene throughout the house and introducing new levels of comfort and cleanliness to daily chores, Samsung’s premium appliances make it easier for families to maintain a healthy, hygienic home.